Piave DOC was born to protect the precious wine territory where the glory water of Piave flows, from the lagoon of Venice and the Province of Treviso, from the sea to the Pre-alps. The soil of the noble lands of proud and hard-working peasants consists of sand, gravel and clay. 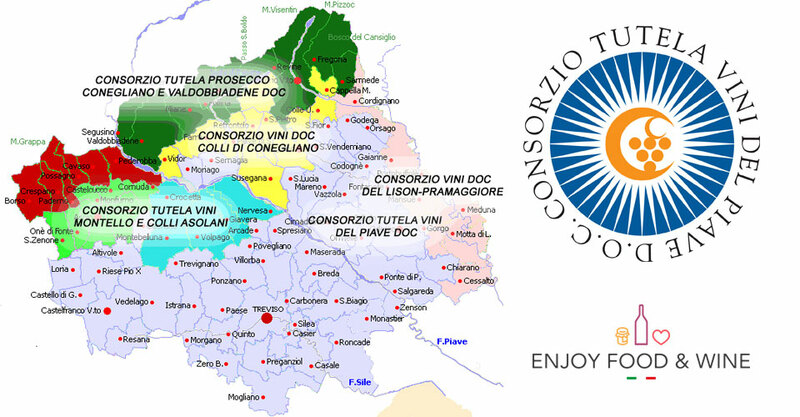 After the Unification of Italy the “Oenological school” of Conegliano, was a point of reference and the innovative strength after two world war. In 1959 Consorzio di Tutela Vini Piave (Protect Consortium of Piave Wines) was born, a unification of strength and innovation. This area has been recognized for the international vineyards like Merlot and Cabernet Sauvignon. 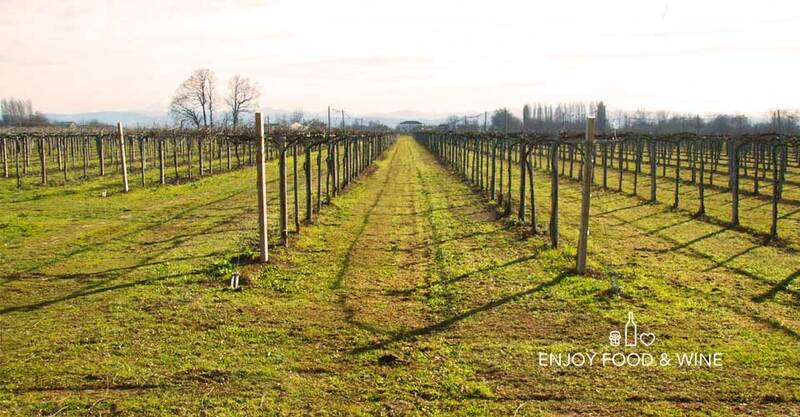 Raboso Piave is in any case the main vineyard and thus the most representative wine of the whole area. Numerous are also the white wines that found here the perfect habitat in this area: Pinot Gris, Pinot Blanche, Chardonnay and also the less popular Tai and Verduzzo Trevigiano. Worth mentioning is also Manzoni Bianco, the most appreciated and popular among the diverse cross created through the Prof. Luigi Manzoni at the School of Oenology of Conegliano. Really spread is also the production of Prosecco, the most famous bubble of Treviso in the world. Raboso is an autochthone and rustic vine variety, vigorous and resistant that give origin to excellent aged wines. Raboso Piave DOC represent all the value rooted in the culture of the territory of Piave in Veneto and it is for sure, one of the most interesting wine regions of the oenological national panorama, also in the charming version of Passito. Malanotte become the name of Raboso Piave DOC Superiore, borrowed by the family with the same name between ‘600 and ‘800 has innovated and influenced the viticulture of the area of Piave. Malanotte is an austere wine, vigorous and aristocratic, realized with a part of grape subjected to withering to give life to a red wine with a great body that after three years of rest in the cellar is ready to “grow” among the great red Italian wines. Wines of Piave DOC: Chardonnay, Pinot Bianco, Pinot Grigio, Tai, Verduzzo. Red wines: Cabernet, Cabernet Sauvignon, Carmenère, Merlot, Pinot Nero, Raboso, Malanotte. Recognizing the quality of the food: why do I have to spend more? Aperitif wine: sparkling, light or perfumed?